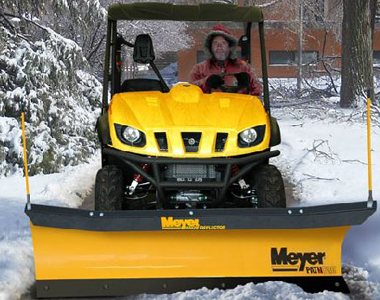 Plowing is a breeze with this Meyer 29205 72 inch Path Pro Plow that is made of out of steel and Dura Slick paint for better snow plowing action. 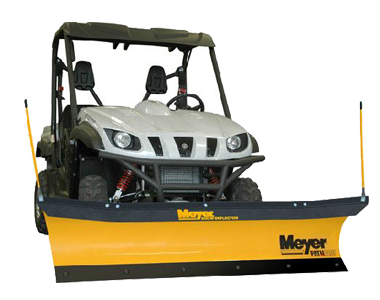 Plow pathways, driveways, and any tight area by attaching this plow to most standard UTVs. The Loc-N-Go System and Self-Angling technology allows you to choose between a locked position, or letting the plow angle towards the snow that’s being gathered. And, highway inspired design offers a scoop and funnel method that throws snow faster and farther than other competitive plows. Self-Angling: Automatically senses which direction the snow is being gathered to angle the blade in that direction. Loc-N-Go System: Lock the blade in five different positions, instead of using the self-aligning technology. Mounting: Mounts any standard universal UTV on the market. Plow Material: Plowing is a breeze with this 72 inch plow that’s designed out of durable steel and coated with Dura slick™ paint for better snow plowing action. Scoop and Funnel™ Design: Throw snow faster and farther than other competitive blades with the highway-plow inspired scoop and funnel. Winch Cables: Featuring rubber grommet that prevents cables from stretching too far to avoid breaking. 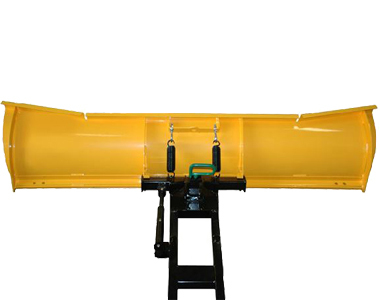 Dual Flared Moldboard Design: Clear more snow with the 65° attack angle moldboard that also provides scoop and funnel discharge action. 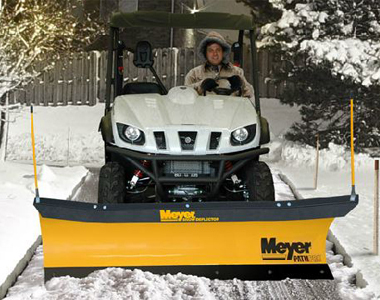 Ask us about the Meyer 29205 72" Path Pro UTV Snow Plow. Please no repair questions. Your Q&A may be posted to SnowblowersAtJacks.com to help other shoppers, like you, with their purchasing decisions. Thank you.